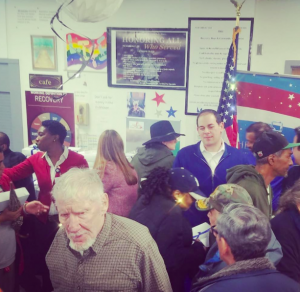 NEW YORK CITY, NEW YORK, UNITED STATES OF AMERICA , December 6, 2018 /EINPresswire.com/ -- CareRite Centers was proud to honor everyone who has served our country over Veterans Week 2018. Veterans Day reminds us to never forget the brave men and women who have helped make this country safe for us and our loved ones. Communities across the east coast showed their appreciation and hosted their annual Pie Day celebrations. Supporting Veterans is something CareRite Centers does not only during this week, but all year long; it is a cornerstone of the organization. As an organization, CareRite is proud to offer care and careers to Veterans and their surviving spouses, and are committed to providing guests with unprecedented levels of genuine care and customer service. CareRite is thankful to have team members and patients who have given selflessly and are honored to serve them now in return. During this year’s Pie day, the network distributed over 1,150 pies to the honorable veterans in and around the CareRite communities. 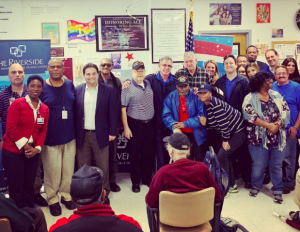 CareRite Centers COO, Akiva Rudner, joined The Riverside Premier Rehabilitation and Healing Center and personally thanked and handed out pies to the veterans from yesterday and today. There is so much to be thankful for and so little ways to truly express our gratitude to all those who have served; this is only a small token of appreciation from our homes to our Veterans. CareRite Centers is proud to honor our Veterans for their service and selflessness. For more information on the Pie Day celebration, please contact Ashley Romano, National Director of Patient Experience / Research Development.